Rusted Windmlll Properties, llc announced the 2012 promotion codes for the Ellicottville, NY property at Wildflower unit 55. There are 6 codes available throughout 2012, including the 2012-2013 ski season. The promotion codes are redeemable through the company's website for Ellicottville NY Gift Cards in various dollar amounts, ranging from $20 to $99. The gift cards can be used anywhere in town that accepts credit cards. You could buy meals, groceries, gas, clothes, jewelry, enjoy a spa or more!!! The promotion codes can be used with any Holiday Valley Resort or Holiday Valley Rental Management office rates or promotions*, which combines for a great discount on your vacation rental. That could lead to great savings for people a who are vacationing or visiting Ellicottville, NY this year. Wildflower unit 55 is a studio townhome that accomodates up to 4 guests. From Memorial Day to Labor Day Weeiends, up to 4 passes to the Holiday Valley Resort 3 pool complex are included with a rental, which is up to a $32 value for FREE. Enjoy the new bathtub and vertical spa, with a rainstyle showerhead and 4 verical jets! This studio townhome is central to all of the activities and a great place to relax after a day of exploring. If you have not been to Ellicottiville, it is worth the trip. A perfect getaway with small town charm. 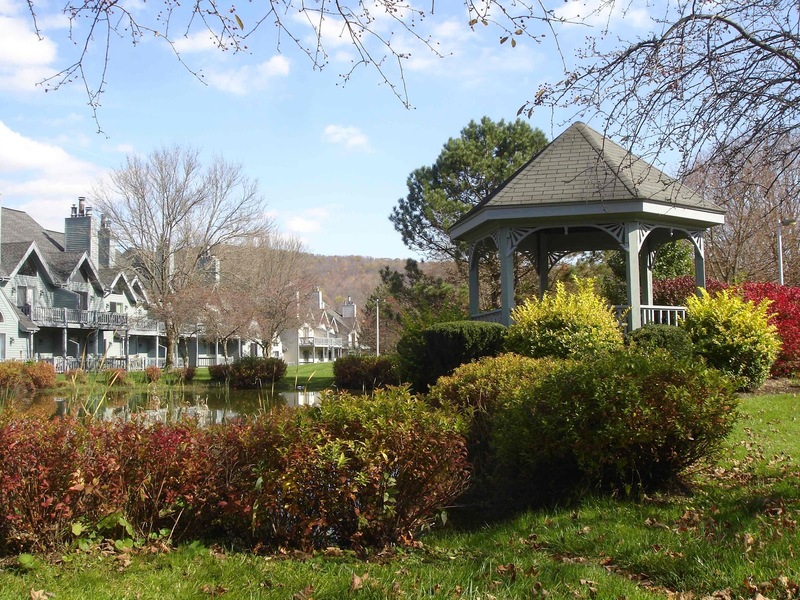 The town of Ellicottville, NY has year round activities for everyone. The activities include Little Rock City, Red House and Quaker Run in New York State Park, Griffis Sculpture park, Ski High adventure parks, 6 golf courses within 18 miles, skiing, snowboarding, snowshoeing, mountain bike trails, spas, shopping and fabulous restaurants and pubs. There are great events each month in the town of Ellicottville. The Ellicotoville Brewery and the Ellicottville Winery are two local companies that make their own ales and wines and Dom's Butcher block has fresh cut meats, local cheese and more. Buy local in town, there are unique shops without the big chain stores. There is something for everyone! ﻿﻿ So whether your are a couple or a family looking to getaway, take advantage of the promotion codes for Wildflower 55 and head out to Ellicottville, NY! It is a inexpensive trip that can be relaxing, romantic or fun filled with activities for everyone! Find the time to Relax, Play and Getaway! *The summer rental (between Memorial Day weekend and Labor Day weekend) includes up to 4 free pool passes for the Holiday Valley Resort 3 tier outdoor pool complex (subject to change). See www.rustedwindmill.com for more information on promotion codes and redemption process.